If before, Manila was the only place being considered by foreign travelers visiting the Philippines, Cebu now comes to their mind, especially when looking for the country’s most important wedding—and honeymoon—destination. The DOT has been promoting Cebu—apart from Boracay and Palawan—as a primary wedding destination for foreign tourists looking to have exotic weddings outside their home countries. This is primarily because the city gives the best of nature, culture and adventure, according to Eduardo Jarque Jr., DOT undersecretary for tourism planning and promotions. “The rich history of the country’s past is mirrored in heritage buildings and churches, the beaches and islands are perfect destinations for nature-loving couples. There’s a myriad of activities such as heritage tours; eco-adventures such as diving, snorkeling, island-hopping, birdwatching and trekking. All these can be add-ons to the couple’s main event,” he said. In recent years, the numbers of foreign guests who visited the country for their wedding requirements significantly have increased. Records from the DOT showed that a total of 96,296 visitors in 2006 went to the Philippines to get married, which went up to 111,948 in 2007, and then to 116,653 in 2008. The figures reflect a significant 14-percent growth rate. Local travel agencies, meanwhile, reported that they often receive requests from foreign tourists, especially Japanese and Koreans, for wedding ceremonies in Cebu. Just like markets in Asia-Pacific and North America, they find that weddings here in the Philippines are very pocket-friendly compared elsewhere. According to Asawa (www.asawa.org), a Fil-West relationships web site, a wedding and reception held locally can run anywhere from $1,000 to $5,000 (P50,000 to P250,000), with a median of $2,500 (P125,000). This is far beyond a very modest wedding in the United States held in just a house or a banquet hall that will not cost less than $30,000, or a lavish wedding rite that can run from $100,000 to $200,000. Aside from reasonable costs, the accessibility and availability of facilities here make it a drawcard for couples looking for the best wedding locations. In fact, additional flights to Cebu from Manila, as well as other key cities in China and Taiwan, have been made available for foreign visitors. As proof that the Queen City of the South continues to become one of the country’s anchor destinations luring couples who love nature, culture and adventure, Cebu was acknowledged as the “Best Honeymoon Destination” in the recently concluded World Travel Fair in Shanghai, China. The tourism department commits itself to remain active in its participation in weddings and honeymoon shows, print and online advertisements, as well as conducting familiarization tours to the Philippines for wedding planners from the US and Canada. 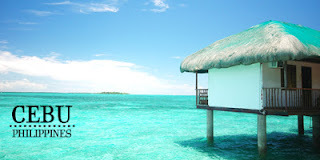 Also, it pushes further the ongoing “Romantic Philippines” campaign, featuring unique getaways and exhilarating thrills to capture more Asian couples. The global market size for weddings and honeymoons is estimated at being between 3 million and 6 million trips per annum. Growth of this niche segment in the next five years is expected to grow further. However, there are certain elements of the wedding-and-honeymoon market that will experience particular growth. To cater to this trend, Jarque said the country’s facilities and venues, as well as event planners and organizers, are all ready to welcome those who will celebrate their momentous occasion in the Philippines. “We aim to further tap this niche market through offering more programs and packages through our partners,” he added. CEBU’S beauty and charm not only have captivated both the foreign and local travelers to spend their romantic moments there, but the wedding photographers as well. Count veteran lensman Mel Cortez as one of them. As an ideal wedding destination, Cebu has numerous advantages that engaged couples could take advantage of in search of a place to tie the knot. First, Cebu is an eco destination in an urban setting. “It is surrounded by so many beaches, some mountains, culturally rich settings and a ‘shopping galore’ destination as well, just like Metro Manila,” explained Cortez, who is the managing director and chief wedding photojournalist of Decisivemoments Photography. In terms of accessibility, Ceby offers many flights daily, thus, making it possible to shoot a wedding here in a day even without accommodation. 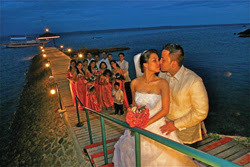 Convenience-wise, it is less tiring to go to Cebu as compared with, for instance, a Baguio wedding. From Manila to Cebu, flight duration is more or less than an hour, which is five hours shorter than a bumpy six-hour land travel going to the City of Pines. Apart from being less tiring, it is also more economical than holding a wedding ceremony or having a honeymoon, for example, in Boracay, which usually costs at least two overnight stays at a hotel. “If a Boracay wedding is on a Sunday, we have to be there on Saturday—a peak day for wedding—and come back to Manila by Monday. Opportunity is, therefore, lost for the suppliers, while additional cost will be shouldered by the clients,” Cortez noted. Strategically, Cebu is centrally located and accessible from key cities of the Visayas and Mindanao. What’s more, there are many wedding suppliers based in Cebu, more than in Metro Manila. So by hiring their services, clients can save on cost and time, because no travel is required. For almost a decade of being a wedding photographer, Cortez has been shooting nuptial photos in Cebu more than 10 times already. “My first wedding coverage in Cebu was in 2002. It was a high-profile beach wedding held at Shangri-La’s Mactan Resort and Spa attended by former First Lady Imelda Marcos and some Manila-based socialites. I was awed by the lavish party in terms of preparations, setup [decorations], topnotch wedding suppliers and attendees [almost all of the 200 guests came from Manila,” he recalled. As for his favorite spots in Cebu, he opted the city’s churches and beaches to take wedding photos. “I prefer the Archbishop’s Palace chapel [located in downtown Cebu City] for small and intimate weddings. Nearby is the Sacred Heart Church—a favorite among the Filipino-Chinese families—which is a perfect wedding setting despite being the costliest. Meanwhile for a very nostalgic ambiance, the historic church of Cebu Metropolitan Cathedral is the best with its century-old columns,” Cortez stressed.